In Peabody yesterday evening, police officers were dispatched to Centennial Drive for a car accident. Reports indicated that a two–car accident occurred near the Marriott. Two individuals involved in one vehicle identified as a Nissan were transported to a local hospital. The Nissan was removed from the scene by a tow truck. The police were dispatched at 6:05 p.m. on Tuesday, April 24. 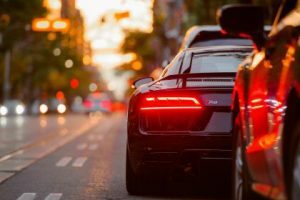 An occupant in a vehicle who was injured during a two-car collision may have the right to obtain compensation from the driver or drivers at fault for the accident. This is possible so long as the driver or drivers were negligent in the car accident. Passengers in a multi-vehicle car crash will not be held responsible for any injuries in the accident. The fault will rest with one or both of the drivers. The injured occupant can obtain compensation for medical costs, lost earnings from not bring able to work, pain and suffering and other expenses. There are still complex issues involved for innocent occupants of vehicles involved in car accidents, factors that could affect the ability to obtain compensation. Any party at fault in the crash is responsible for the injuries of the occupant. However, the drivers’ insurance needs to agree on who is at fault. If they cannot agree who is at fault, or the degree of each driver’s fault then this delays compensation to the passenger victim(s). A passenger will not be paid out in a settlement until fault is finalized. If you have been a passenger in a multi-car collision and have been injured, contact the Law Offices of Jeffrey S. Glassman today at (617) 367-2900 to tell us your story today.